I have authored two books, co-authored two others and co-edited 13 volumes. My work has also appeared in several other edited volumes. You can click on any of the book covers to learn more about them. 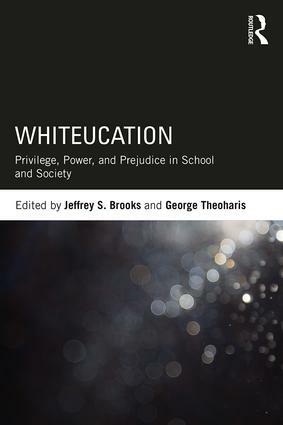 Whiteucation: Privilege, Power, and Prejudice in School and Society, co-edited with George Theoharis. This important volume explores how racism operates in schools and society, while also unpacking larger patterns of racist ideology and white privilege as it manifests across various levels of schooling. A diverse set of contributors analyze particular contexts of white privilege, providing key research findings, connections to policy, and exemplars of schools and universities that are overcoming these challenges. Whiteucation provides a multi-level and holistic perspective on how inequitable power dynamics and prejudice exist in schools, ultimately encouraging reflection, dialogue, and inquiry in spaces where white privilege needs to be questioned, interrogated, and dismantled. 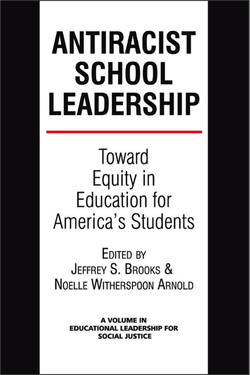 ​Foundations of Educational Leadership: Developing Excellent and Equitable Schools ​(Routledge, 2018), co-authored with Anthony H. Normore. 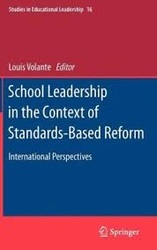 This book provides a fresh and research-based perspective on educational leadership, exploring 10 domains of practice in which educational leaders must be literate in order to establish and sustain relevant and useful educational experiences for students in their schools. In addition to covering traditional concepts such as culture, instructional leadership, professional ethics, and politics, the authors also introduce several conventionally neglected, cutting edge concepts like spirituality, holistic health, and information leadership. 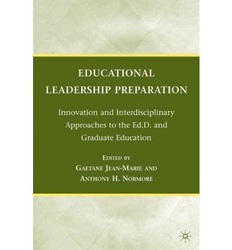 This important book emphasizes how a framework of learning, literacy, leadership, and reflection is critical to the preparation and practice of educational leaders. Foundations of Educational Leadership ensures aspiring and practicing leaders will be prepared to influence processes and outcomes for creating a more just and equitable environment for all students. Black School, White School: Racism and Educational (Mis)leadership (Teachers College Press, 2012) is an ethnographic case study that investigates how racism influences educational leadership practice in an urban high school. The book captures uplifting and horrifying stories of teachers and administrators as they struggle to deal with the role of racism in school and community. Black School, White School was a 2013 American Educational Studies Association Critics Choice Award Winner. 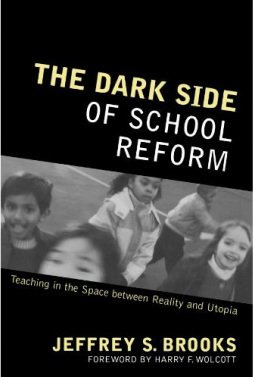 The Dark Side of School Reform: Teaching in the Space Between Reality and Utopia (Rowman & Littlefield Education, 2006) directly engages some of the more difficult aspects of working as an educator in a public school. 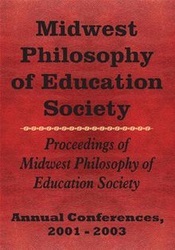 This book investigates what it means to teach, lead, and live during times of ongoing and intense change and offers insights which might help committed professionals better serve the needs of students as they seek to implement their own reforms in the ever-shifting organizations public schools have become. You can read a review of the book here. “Skillfully captured in teachers’ real voices, this account of a school reform effort draws the reader in so deeply that you’ll feel as though you’re an invisible presence in busy classrooms and hot and crowded meeting rooms. Leading Against the Grain: Lessons for Creating Just and Equitable Schools (Teachers College Press, 2018), co-edited with Anthony H. Normore. What new ideas and ways of thinking can educational leaders learn from great world leaders who have moved their societies to greater equity and expanded educational opportunity? In this lively, accessible volume, the editors have brought together an impressive group of senior and early-career educational scholars to study the lives and contributions of a wide range of outstanding historical and contemporary leaders from the United States and across the globe. This rich collection of brief biographical commentaries profiles leaders like Wangari Mathaai, John Tippeconic III, Fannie Lou Hamer, Saul Alinsky, Antonia Pantoja, Jimmy Carter, Golda Meir, Sun Yat Sen, José Rizal, and Jesus Christ. Each profile focuses on a single individual and includes (1) an introduction and biographical sketch, (2) a discussion of their context and activities as a leader, (3) a list of the key lessons we can learn from their leadership, and (4) an explanation of how these lessons are relevant for today. This unique collection bridges cultures, professions, and callings to help American education leaders create more just and equitable schools. Educational Leadership and Music: Lessons for Tomorrow's School Leaders (Information Age Publishing, 2017), co-edited with Terri N. Watson and Floyd D. Beachum, considers new territory for educational leadership by looking to music for lessons and inspiration that may inform the next generation of schools leaders. Each chapter focuses on an artist or group whose work serves to refine, extend, and challenge our thinking in regards to educational leadership. You will find a vast array of musical forms of expression analyzed and described by an equally diverse collection of educational leadership scholars and practitioners. There may be some who question the academic appropriateness or relevance of a text such as this one. Our response is that part of our ongoing mission should be to break ourselves out of academic silos and forge meaningful connections between seemingly disparate disciplines. Furthermore, educational leadership stands to gain more by drawing from the arts and specifically musical influences. Finally, music is an obvious part of most of our lives; why not explore the ways in which it impacts us on an academic level and not just a personal level? In sum, we ask that as you read the chapters of this book, you reflect on your own musical tastes and favorite artists. 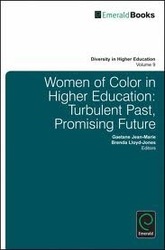 Co-Edited with Melanie C. Brooks (Information Age Publishing, 2015), this edited volume explores various aspects related to social justice and educational justice in urban settings. Chapters range from conceptual to empirical and provide a plurality of perspectives on several complex issues. "At times leaders can be enticed by the allure of 'social justice.' 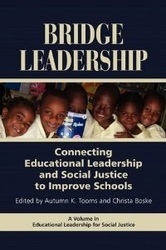 However, the authors in this book are forthcoming and realistic about the challenges of social justice leadership. This book demonstrates that urban contexts across the globe may vary in their approaches to achieving equity, but one constant is that social justice leadership is rewarding but indeed political." 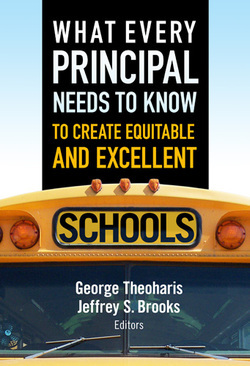 What Every Principal needs to Know to Create Equitable and Excellent Schools Co-Edited with George Theoharis (Teachers College Press, 2012) shows how school leaders, in general, and specifically principals require foundational understanding across all content areas of k-12 schools. We have put together this book because of a belief that school leaders are smarter and more capable when they have foundational understanding about all content areas. This better positions them to navigate the pitfalls of inequity while leading toward excellence. You can read a review of the book here. 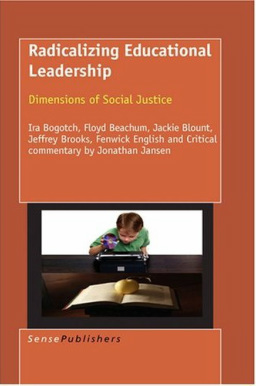 Educational Leadership for Ethics and Social Justice: Views from the Social Sciences. 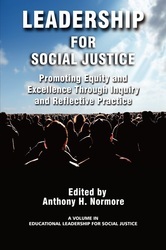 The purpose of this book, co-edited with Anthony H. Normore, is to examine and learn lessons from the way leadership for social justice is conceptualized in several disciplines and to consider how these lessons might improve the preparation and practice of school leaders. In particular, we examine philosophy, anthropology, sociology, economics, political science, public policy, and psychology. Our contention is that the field of educational leadership might consider taking a step backward in order to take several forward. That is, educational leadership researchers might re-examine social justice, both in terms of social and individual dynamics and as disciplinary-specific, multidisciplinary and interdisciplinary phenomenon. By adopting this approach, we can connect and extend long-established lines of conceptual and empirical inquiry and thereby gain insights that may otherwise be overlooked or assumed. This holds great promise for generating, refining, and testing theories of social justice in educational leadership and will help strengthen already vibrant lines of inquiry. 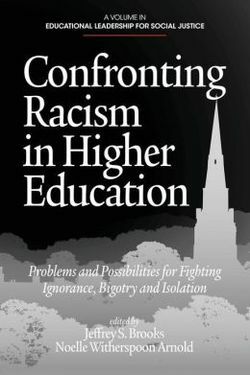 Confronting Racism in Higher Education: Problems and Possibilities for Fighting Ignorance, Bigotry and Isolation Co-Edited with Noelle Witherspoon Arnold (Information Age Publishing, 2013) Racism and ignorance churn on college campuses as surely as they do in society at large. Over the past fifteen years there have been many discussions regarding racism and higher education. Some of these focus on formal policies and dynamics such as Affirmative Action or The Dream Act, while many more discussions are happening in classrooms, dorm rooms and in campus communities. Of course, corollary to these conversations, some of which are generative and some of which are degenerative, is a deafening silence around how individuals and institutions can actually understand, engage and change issues related to racism in higher education. This lack of dialogue and action speaks volumes about individuals and organizations, and suggests a complicit acceptance, tolerance or even support for institutional and individual racism. There is much work to be done if we are to improve the situation around race and race relation in institutions of higher education. Co-Edited with Noelle Witherspoon Arnold (Information Age Publishing, 2013) There is no recent data on school inequities, or inequity in society for that matter, that suggests we have arrived at Dr. King’s dream that his “four children will one day live in a nation where they will not be judged by the color of their skin but by the content of their character.” Though issues of race in the public education system may take an overt or covert form; racial injustice in public schools is still pervasive, complex and cumulative. For example, many students of color, year after year, do not have access to “good” teachers, experience low staff expectations, and are subject to “new and improved” forms of tracking. The authors in this book explore various ways that racism are manifest in the American school system. 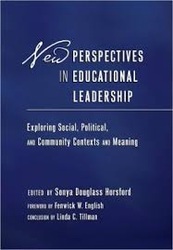 Through a plurality of perspectives, they deconstruct, challenge and reconstruct an educational leadership committed to equity and excellence for marginalized students and educators. 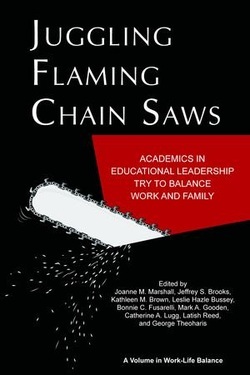 Juggling Flaming Chainsaws: Academics in Educational Leadership Try to Balance Work and Family Edited by Joanne Marshall and others (Information Age Publishing, 2012) is the first book in a new series with Information Age Publishing on these challenges of managing academic work and not-work. 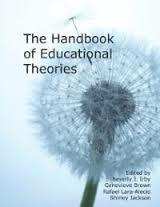 It uses the methodology of autoethnography to introduce the work-life issues faced by scholars in educational leadership. 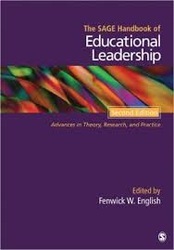 While the experiences of scholars in this volume are echoed across other fields in higher education, educational leadership is unique because of its emphasis on preparing people for leadership roles within higher education and for preK-12 schools. 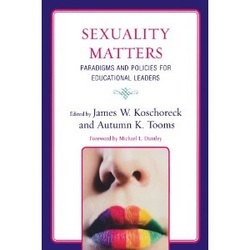 Authors include people at different places on their career and life course trajectory, people who are partnered and single, gay and straight, with children and without, caring for elders, and managing illness. They hail from different geographic areas of the nation, different ethnic backgrounds, and different types of institutions. What all have in common is commitment to engaging with this topic, to reflecting deeply upon their own experience, and to sharing that experience with the rest of us. Radicalizing Educational Leadership: Dimensions of Social Justice Edited by Ira Bogotch, Floyd Beachum, Jackie Blount, Jeffrey S. Brooks and Fenwick English (Sense Publishers, 2008) What you will find inside this provocative text: It should come as no surprise, as the collection of papers in this book show that we are up against it. Killing those we despise has become normative in the political minds of both the powerful and the marginalised. Framing those who are weakest as the architects of their own disgusting state . it has become commonsense in all societies, rich and poor.. Any counter-hegemonic project that seeks to rethink social justice and reframe educational leadership is, without question, confronting the enormous power of ordinariness, the commonsense about power, inequality and violence. Jonathan Jansen By virtue of an institutionalized hegemony, the formal scales of social justice are informally tipped in favor of the "haves," leaving the "have-nots" at a distinct disadvantage, and often powerless and defenseless to effect change for themselves or others. How do these critical perspectives change our vision of public schools and of educational leadership? 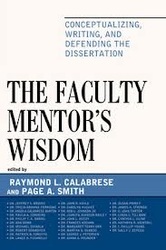 I have also contributed chapters to several books. You can learn more by clicking on the cover.